Home » Health and Beauty » How to Whiten Hand and Foot? How to whiten hand and foot? Girls are not only worried about face whitening they also want to have white hands and feet. Our day to day routine and weather changes contributes a lot in damaging the body color. Mostly college, university and job going girls see difference in their body color. The notice their hands and feet do not match with their face complexion. Girls are crazy to have white complexion not only of face but also of hands, feet. Now you can instantly white hands and feet at home easily. It’s all because of the weather and pollution which make our skin dull and lackluster. In order to get white hand and foot they use a number of costly hand and foot whitening creams and whitening lotions but are not able to get desired result. Now don’t worry girls, today we will tell you effective home remedies on how to whiten hand and foot. Cut the lemon into two pieces and grind the sugar. Put the sugar powder into a bowl and dip a lemon slice in it. When you lemon get sugar powder on it rub it gently on your both hand and feet. Keep on rubbing the slice for 15 minutes and wash it away with water. Pet dry and use a good moisturizing lotion. This lemon and sugar scrub is very much effective and instantly shows result. Grind the dry orange peels to make a smooth powder. Add milk and honey in it and mix well. Apply the mixture on your hands and feet and after ten minutes rub gently and wash away with water. This removes dead skin cells and makes your skin brighten. You can apply this Orange Peel, Milk and Honey Scrub thrice a week to get desired results. Mix them well and daily apply at your hands and feet for 20 minutes. On the regular use you will see a remarkable difference. You need to extract Potato juice. Use this juice with the help of cotton ball on the dark areas of the skin. It’s a natural skin bleaching agent which helps to eliminate the dark spots of the skin. Add all the ingredients in the lukewarm water and dip your hands and feet in it for at least 30 minutes. Then use a scotch to rub on them and wash away with water. You will feet instant result because this Hydrogen and ammonia water will remove all the dirt and dead skin cells. Don’t use skin bleaching cream for whitening hands and feet. No doubt it shows instant results but in just 2 days you will notice your hands and feet become darker than earlier. Thy chemicals in them burn your body. 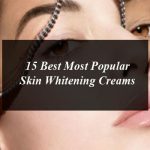 This homemade whitening cream will not only make you hands and feet complexion white, you can also use this cream on the whole body for making it white. Blend all the above mentioned ingredients well and make a thick paste. Apply this homemade Hands and Feet Whitening Cream for 15 minutes then massage well for few minutes. Rinse it properly and pat dry. You can use this homemade hands and feet whitening cream daily at night for getting desired results. How to whiten hand and foot? Girls are not only worried about face whitening they also want to have white hands and feet.